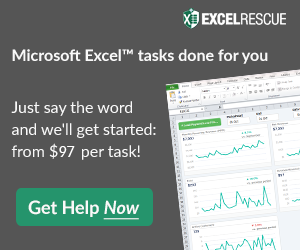 Before we begin, I am going to show you how to do this with some standard Excel features and functionality. 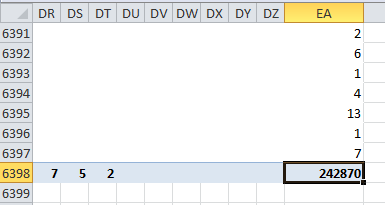 Now one way that you can solve this that I won’t be showing you today is to use PowerQuery in Excel. 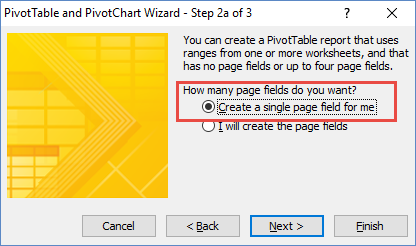 If you have a lot of these types of questions coming up in your daily life, I would highly recommend that you visit some PowerQuery posts to learn more. Now onto my tips and tricks to solving this problem. The marketing department posted a survey on your companies website and they need to find the Top 3 countries visited by survey respondents. 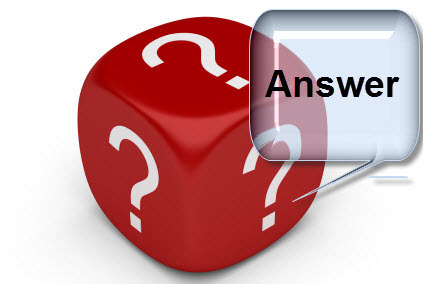 HOWEVER, the website developer didn’t understand and the answers came back as a list by each user in one text string of values separated by commas. 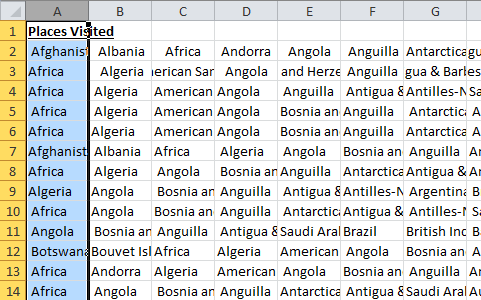 Can you Find Unique Values from CSV List, put your answers in the comments below. Total Number of Countries Visited. 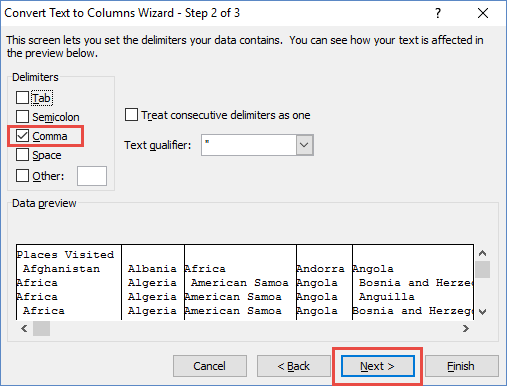 Choose the Delimited checkbox and then select the next button. Choose the Comma checkbox and then select the next button. 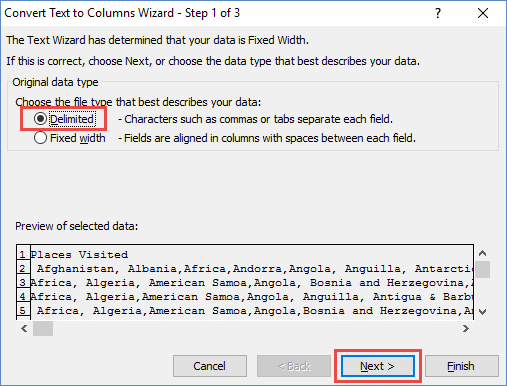 This is a pretty easy step that most people can do 🙂 just insert a column to the left of column A by right clicking on column A and selecting the Insert Pop-up Menu Option. 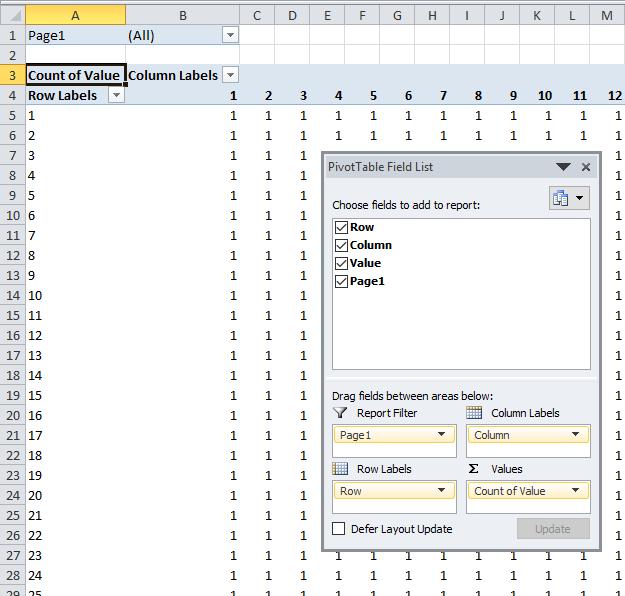 Then create ID numbers in the first 2 rows and or columns and use the fill handle to create a unique ID for each row and column. 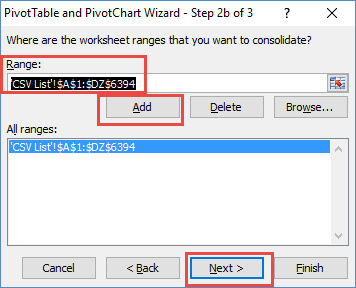 On your keyboard press ALT+D and then press P.
This will bring up the legacy pivot table wizard from Excel 2003. 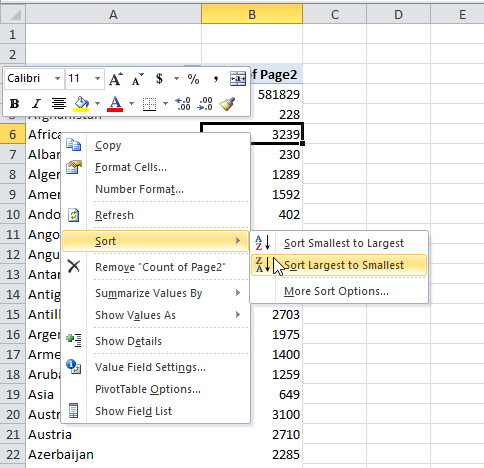 Then in step 2b of the wizard, click in the Range field and highlight your range on the spreadsheet. Then click on the Add button and then click on the Next button. 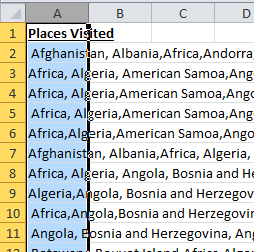 Next get our data back into one column of data for every location visited, we need to explode the data from the newly created pivot table into a table of the data. 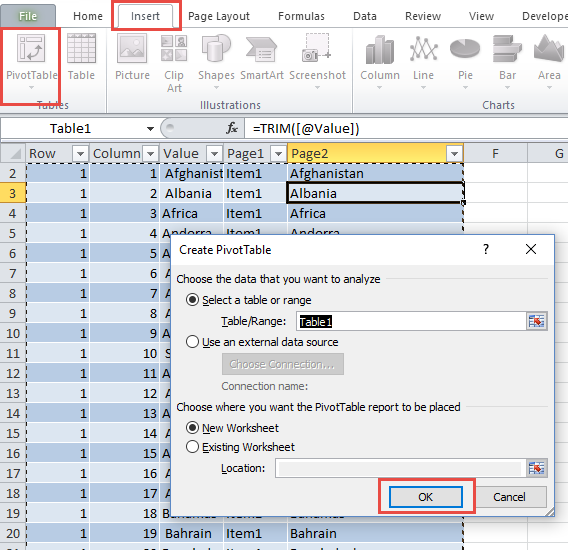 To do this, find the Grand Total on the bottom right of the new pivot table and double click on it. 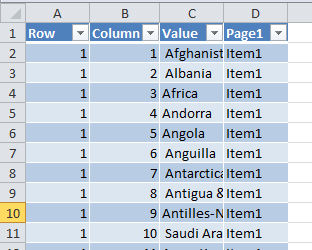 After doing so, your data table will look like this with all the values of the original CSV file in one data column. 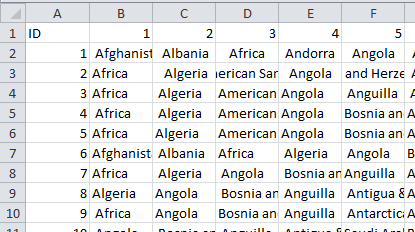 Unfortunately, the new data still has leading spaces so there are duplicates that show up that are not really duplicates. To remove these, go to Cell E2 and put in a TRIM formula on cell C2. 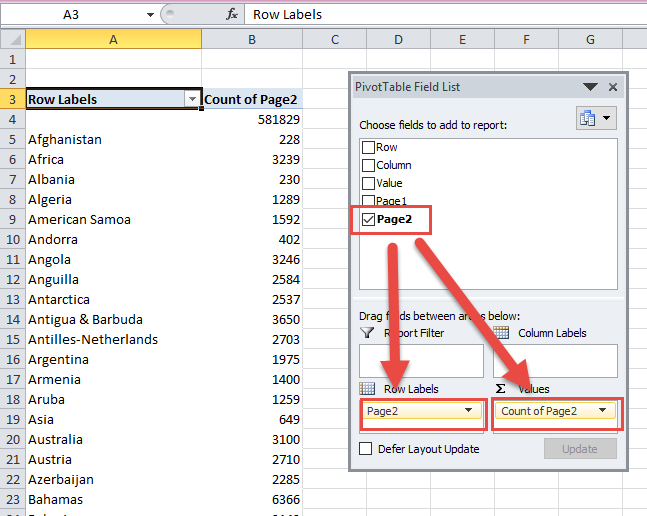 When you hit enter, it will fill in for the whole column as the pivot data is in an Excel Table. 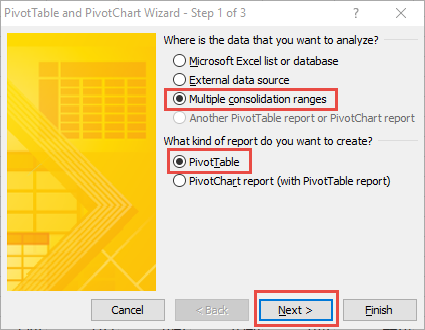 Let me know if you like this method or prefer PowerQuery in the comments below.